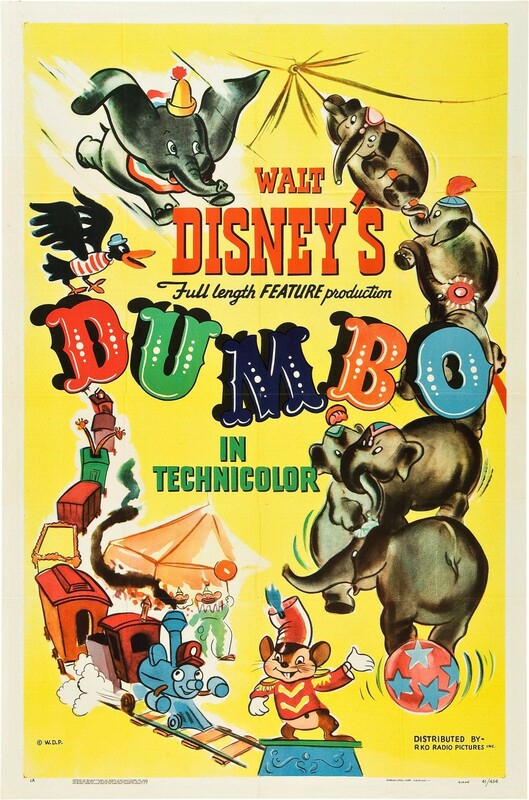 Walt Disney’s Dumbo tells the story of a young circus elephant who is ridiculed because of his over-sized ears. Dumbo is assisted by a mouse (Brophy) who wants to help him achieve his full potential. Dumbo has a great message about being able to achieve anything you want to no matter what obstacles you need to overcome. Dumbo also offers a commentary on how society reacts to people who are different and the effects of societies reactions to difference. The main protagonist, Dumbo, is compelling and loveable despite the fact he doesn’t say a word of dialogue throughout the film. The songs, for the most part, are great though they are not the most memorable of Dinsey songs, apart from "When I See An Elephant Fly", performed by the crows. The animation is fantastic and there are some really dark scenes in the film, including but not limited to a drunken hallucination with pink elephants. There is also a moving story between Dumbo and his mother, who is kept in isolation after attacking a group of people who were mocking her son. The story shows the bond between mother and child and the lengths that a mother will go to to protect her child. Dumbo is a funny, moving and dark film that comments on being different and how we should embrace our and everyone else’s differences. Dumbo is a true Disney classic.